Backed by a well-known Chinese venture capitalist, Hong Kong-based startup Vitargent (International) Biotechnology Ltd. says it’s developed fish-based tests for more than 1,000 toxic chemicals that could help companies from drugmakers to food manufacturers identify disease-causing contaminants. The technique relies on young transgenic zebrafish and medaka fish whose development is altered in specific ways by known toxins, indicating potential harm to human health. Vitargent’s $300 screening test, which takes about two days to complete, could speed up product safety checks in a country beleaguered by scandals over tainted items, founder Eric Chen said. “Fish models are suitable for screening large amounts of toxins quickly, which is why they are a way of the future,” said Brian Priestly, a toxicologist at Monash University’s Australian Centre for Human Health Risk Assessment, who isn’t involved with the company. Dogs, monkeys and rodents have been used in the past to gauge potential harm from chemicals, but now scientists are trying to avoid using them as models of human diseases for ethical and economic reasons, Priestly said. The potential to safeguard product safety and integrity, both in China and abroad, is what prompted an investment in Vitargent by Peter Liu, a Chinese venture capitalist whose company WI Harper manages $750 million of assets. Zebrafish, known scientifically as Danio rerio, are increasingly popular substitutes. Native to the freshwaters of the Himalayan region, the inch-long stripy minnows metabolize drugs using similar biological pathways as humans. They’re also prolific, becoming sexually mature after a few months, with each pair producing 200 to 300 offspring a week. It’s the transparent embryos, which develop outside the mother, that are used in toxicology studies because their development — both inside and out — can be easily observed. 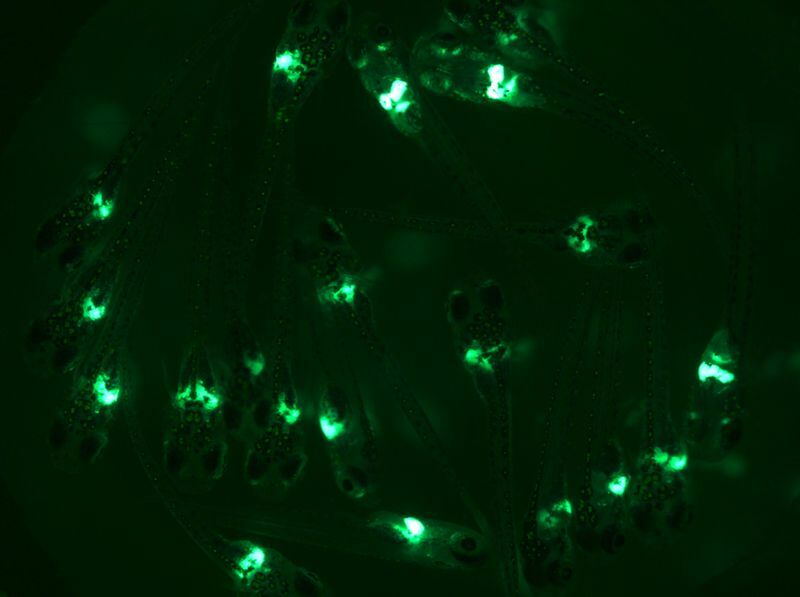 Vitargent’s fish glow green in the presence of certain toxins and grow extra tails and tumors after exposure to other harmful chemicals, said co-founder Xueping Chen, a biologist who spent a decade studying the testing method. Food safety is a particular area of focus for the founders. In China, trust in some products is so shaky that parents scour the world to buy milk powder for their babies.